Once Calhoun IT have loaded your information into the CCC Alert system, you must access it via the MyCalhoun portal. 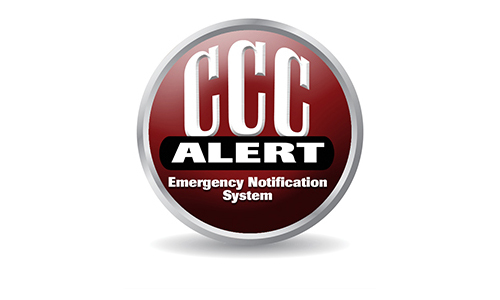 Once you click on the CCC Alert icon, you will be auto-logged in to the system. As a default, we only setup the preferred email address as a contact. Because effective emergency response requires personal preparedness and planning, we encourage you to login to your CCC ALERT account today and add all the methods you would like to be notified. It is your responsibility to update your contact information periodically. Please visit our CCC Alert page for login and more information.